1. 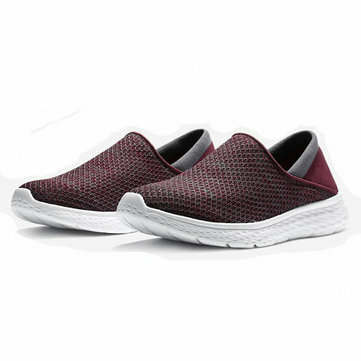 Breathable upper, the high-quality nylon woven fabrics make the shoes breathable, light and comfortable. 2. Elastic design, the elastic design provides the best experience for you. 3. Breathable insole, the ventilated insole can wick perspiration away from the skin, deduce foot odor and create a cooler and healthier shoe environment. 4. Anti-slip and flexible outsole the concave-convex texture of outsole increases the force of friction and keeps you safe on slippery roads. 5. Shock-absorbing sile, the soles are flexible, comfortable and durable, and have good cushioning and bounce performance. 6. lightweight design, made of lightweight nylon and special sole, the shoes give you comfortable feeling during long-time wearing.